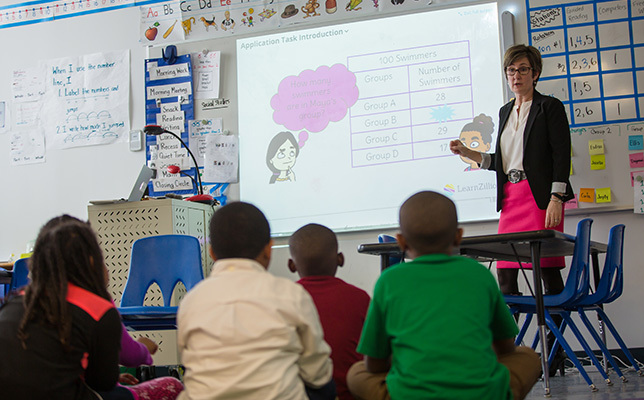 LearnZillion, a Washington, D.C.-based K–12 curriculum-as-a-service (CaaS) company, is partnering with Canadian ed tech company D2L to integrate LearnZillion’s standards-aligned curricula into D2L’s Brightspace Lessons learning management system (LMS). Thus, teachers using Brightspace Lessons will have access to LearnZillion’s content to provide students with “a more personalized blended learning experience,” according to a news release. The release states that TRECA, an online public school based in Ohio, will be utilizing LearnZillion’s full offering of math resources for students, beginning in the fall. For more information about LearnZillion, visit that company’s website. To learn more about D2L, visit d2l.com.